Helen E. Rutter, 88 of Zanesville died 10:51 AM Saturday, November 3, 2018 at the Brookdale Senior Living. She was born on July 15, 1930 in Morgan County the daughter of Joseph W. McElfresh and Mary E. Persinger McElfresh. In addition to being a homemaker, Helen had been employed at Bethesda & Good Samaritan Hospitals, and also had worked at Adornettos Pizzeria. She retired from Kindercare and had always been involved in child rearing. 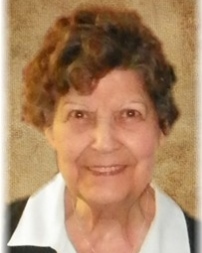 She was a Life Member VFW Post 1058 Auxiliary, enjoyed traveling with her family for many years and working puzzles. She very much looked forward to the many family & extended family gatherings. She is survived by a grandson, Austin L. Rutter of Zanesville; a sister, June Brooks, sister-In-Law, Lola (Bill) F. Ripple and many nieces and nephews. Helen was preceded in death in addition to her parents by her husband of 65 years, Raymond L. Rutter; a son Thomas L. Rutter; six brothers, Pat, Bill, Harry, George and Nate McElfresh and Don Baker; three sisters; Ilene Teisinger, Polly Murphy and Lou Clifton. Visitation will be held from 2:00 PM to 3:00 PM on Wednesday, November 7, 2018 at the Bryan & Hardwick Funeral Home with funeral service to follow at 3:00 PM Rev. Jesse Wilson officiating. Burial will conclude at the Zanesville Memorial Park Cemetery. The Bryan & Hardwick Funeral Home, 2318 Maple Ave. Zanesville is in charge of the arrangements. To share memories and condolences with Helen’s family please visit www.BryanHardwickFH.com.